Here is your personal invitation to a dynamic conference. A warm, welcoming Maritime venue. A chance to exchange ideas with academic administrative women from around the country. 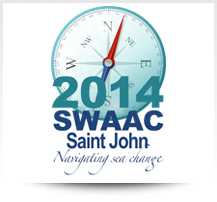 You'll find it all at the 2014 annual conference of the Senior Women Academic Administrators of Canada in Saint John, New Brunswick, May 1 to 3, 2014. We are please to announce our lead sponsor, Odgers Berndtson: Global Leaders in Executive Search.